Guys! 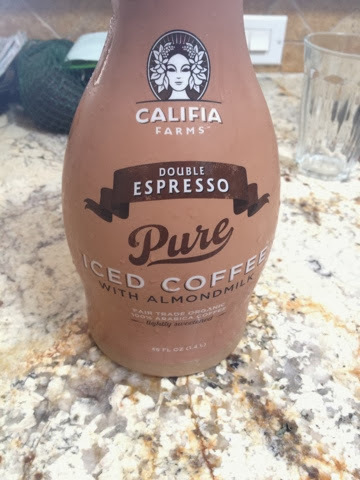 I found this amazing iced coffee with almond milk at Gelsons! 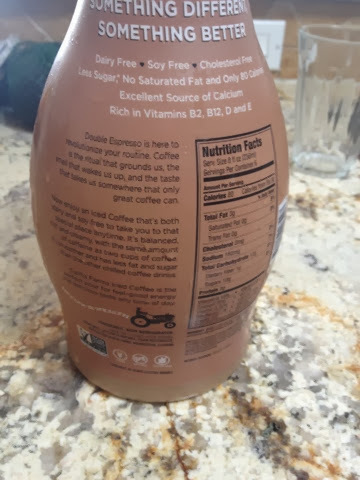 I received a coupon for it in a VeganCuts box but never saw it anywhere. It's so good! It isn't really noticeably sweet but I don't like sweet coffee so it's perfect. This one is double espresso so it's strong but they have regular almond milk options and mocha flavor. It's GF/V :) the packaging is BPA free and no soy.